It has been a long, long time since any popular Philips Hue smart lighting products went on sale with any significant discounts, but the wait is finally over. Amazon is celebrating our nation’s independence by slashing 20% off the prices of several popular Philips Hue products. Among all the discounted lighting products, there are two deals that definitely stand out. 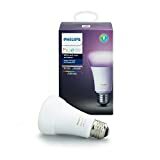 First, you can save 20% on Philips Hue White and Color Ambiance A19 60W Equivalent Dimmable LED Smart Bulbs. 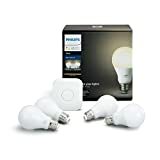 And second, you can save 20% on the insanely popular Philips Hue White A19 60W Equivalent LED Smart Bulb Starter Kit.